Before you go to Bali or India for training, make sure you’re committed to yoga. You should be doing yoga at least three times a week so you can start your career with a solid foundation. This will also show your students that you’re dedicated. It will also allow you to see if you really want to go deeper into yoga as a career. Once you’re sure that this is the career for you, the next step is to find some yoga teacher training. While there is a lot of debate about whether you necessarily need to be certified, the market is much more saturated than it used to be. This makes it difficult for studios around the world to see the quality of potential teachers. For that reason, it’s a good idea to get certified with high quality training provider who is registered and accredited by industry regulators such as the Register of Exercise Professionals. It may seem counter-intuitive to find a job at home before you become a nomad yoga teacher. But this will give you some solid experience to put on your CV. 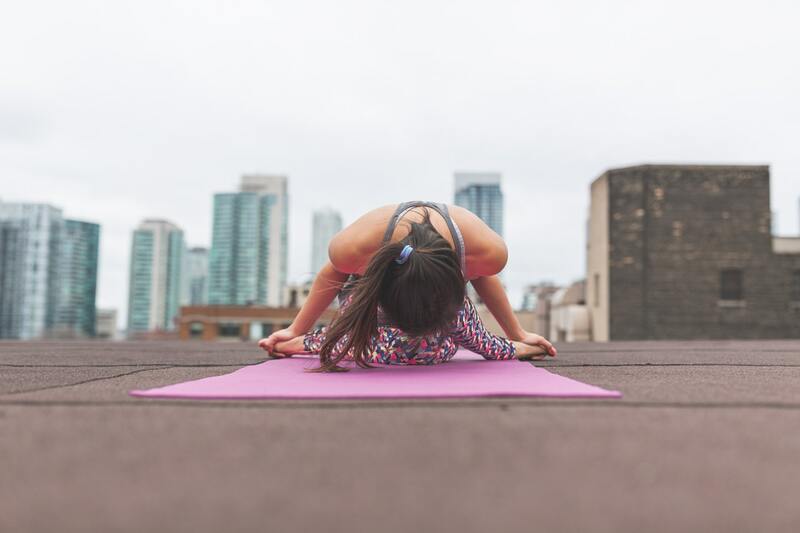 Make a list of some of the top yoga studios in your area and be sure to practice at them regularly. That way, when a position does open up, you’ll be first on their list. It can sometimes help to have more than one string to your bow, by training in a variety of complementary qualifications like a PT course, aromatherapy, massage, even becoming a lifeguard can make you a much more attractive prospect to an potential employer and give you plenty of opportunities to make great money whilst living the good life! Most yoga studios around the world will want at least a six to twelve-month commitment before they’ll hire you. That’s why it’s a good idea to do your research when you’re choosing somewhere you’d like to move. Keep in mind that you’ll probably need to get a work visa before you can teach. Teaching on a tourist visa is a big no-no and can get in you in big trouble depending on the country you’re in. Join some Facebook groups and read some blogs from other traveling yogis. Feel free to ask for advice. Remember: If you arrive and you don’t feel like you could live there for whatever reason, you can always move somewhere else. Treat the experience as a fun adventure and you’ll be more likely to attract a position at the right school in the right place. Some of the best places to teach include Bali, Indonesia, and Chiang Mai, Thailand. Of course, India is an amazing place for yoga, and there are many destinations in Central America like Costa Rica, Guatemala, and Mexico where you can enjoy the beach while teaching yoga.